Israeli Briza Color Diamonds' new technology enables diamond companies to turn polished whites into color enhanced diamonds. Israeli company Briza Color Diamonds has come up with a new technology, which enables diamond companies to turn their polished whites into color enhanced diamonds, thereby upgrading their value and improving their price. Briza’s technology uses an electronic accelerator to simulate the conditions nature uses to color diamonds. The company has perfected the process to a degree that enables it to offer consistent results in 14 different colors. 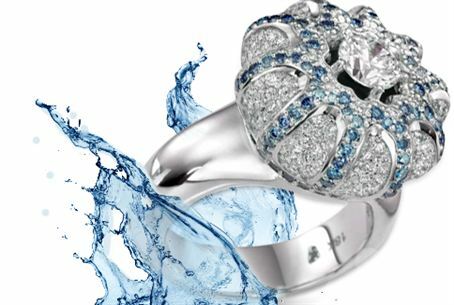 The service enables diamantaires to offer colored diamonds at an attractive price and provides artistic freedom to designers. “Today we can predict from the beginning what stones we get and what the color will be at the end of the process,” said Briza co-owner Shay Barak, who added that Briza does not color the diamonds but uses the color that is already in the diamond. Briza is exporting its technology, and Barak said many have expressed interest in it. “It’s something that the world is getting more interested in, because the alternative is the natural diamonds that come from the ground and are very rare,” he explained.